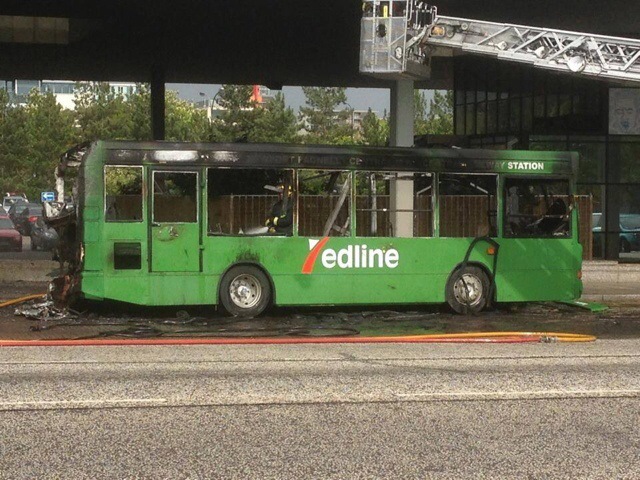 A Redline bus caught fire today at the old Bus Station in CMK today.. There has been unconfirmed reports that the bus had mechanical issues earlier in the day, but of course that could be something completely unrelated. 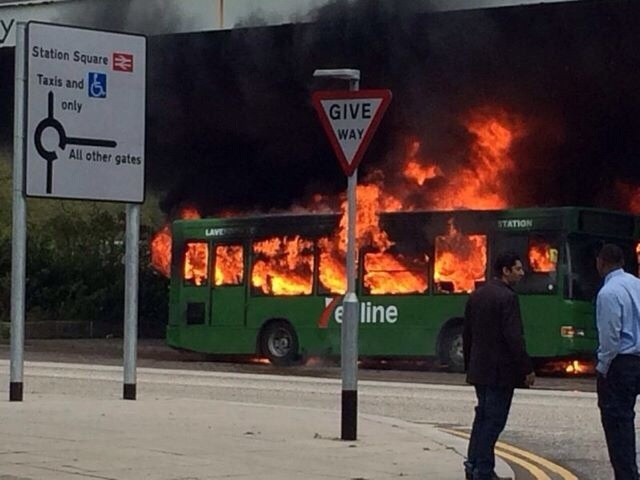 This entry was posted in Buses, Daily Life, General, Local Stuff, Milton Keynes, Mobile Blogging, Photos, Whoops Files, Work. Bookmark the permalink.